Best strategies for win whit Binary Option? Through Binary Options, if the conditions are right, anyone may be able to gain a considerable profit which may even be enough to serve as a day job; but as it is possible to earn a lot of money, it’s just as possible to lose a large amount of capital by taking the wrong decisions. This is how the Binary Options market operates, it is a high-fluctuation market where strategies are applied to somehow lower the level of risk of a certain operation. Every trader has lost money at some point, but to be a successful trader, it is vital to keep playing the market and to stay educated on the latest techniques and indicators that may help the investor understand price fluctuations in a better manner. To be able to make a profit through Binary Options, successful trades must outnumber failed trades. It is better to diversify and to try to invest small quantities on a lot of assets, rather than a large amount of money on a single asset. Usually, brokers won’t allow more than a 75% return rate if the trade’s successful, but if the asset’s price goes in the wrong direction, it will surely cost the whole investment. Some brokers allow to cut losses by an exotic option called “Stop”, which allows traders to close their position before the expiration time; so by paying a fee, they reduce potential large losses. Information in vital. Traders that possess enough information about the assets they have chosen to trade will be able to predict correctly whether the price will rise or fall. This can be easily noted when trading commodities, which are heavily influenced by politics and worldwide economy. Commodities are often looked the better and safer options to invest, since they are actual materials that have been traded throughout human history in one way or another. This is far from true, because just like any other stock or asset, as prices rise, they can also fall from one day to another. It is vital to keep any sort of irrational judgment away from the investing plan because even the steadiest asset may suffer from catastrophic drops in prices. 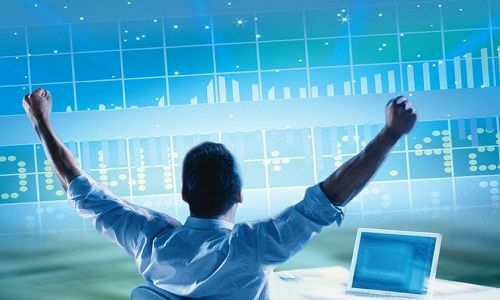 One of the key steps into becoming a successful Binary Options trader is to elaborate an investment plan and to test it in the market through the use of a demo account. Demo accounts are provided by brokers by depositing a certain fee; these accounts are very useful because they allow new traders to get in touch with the market by their own. Demo accounts use fake money, so there’s no risk of loss; faulty decisions can be made to test how the strategy will function under certain conditions. Both professional and novice traders use demo accounts because first-hand experience is just as valuable as information and education that can be found online or through e-learning courses. Most brokers offer demo accounts, but they tend to be time-restricted, because brokers wish for they traders to invest real money rather than operating fake currency.